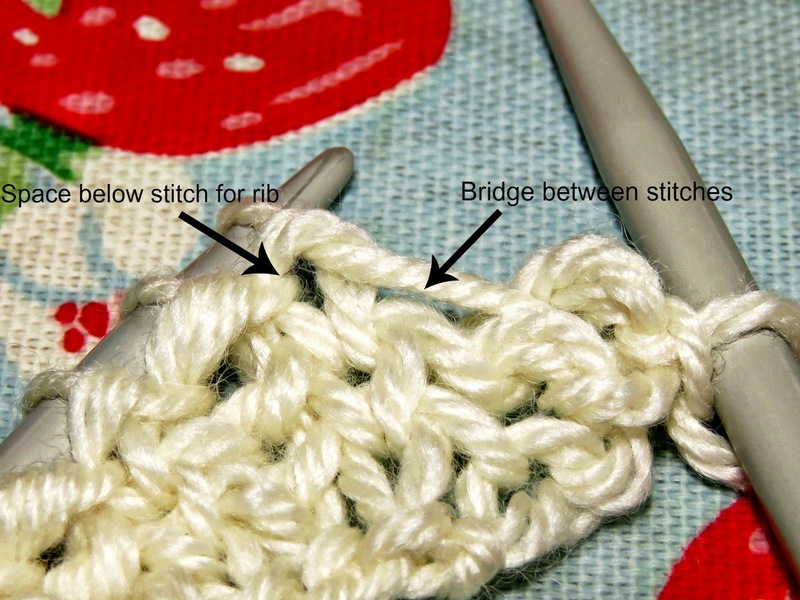 One of stitches that I have fallen in love with is Fisherman's Rib. It creates a wonderfully squidgy textile that's really comfortable to wear. 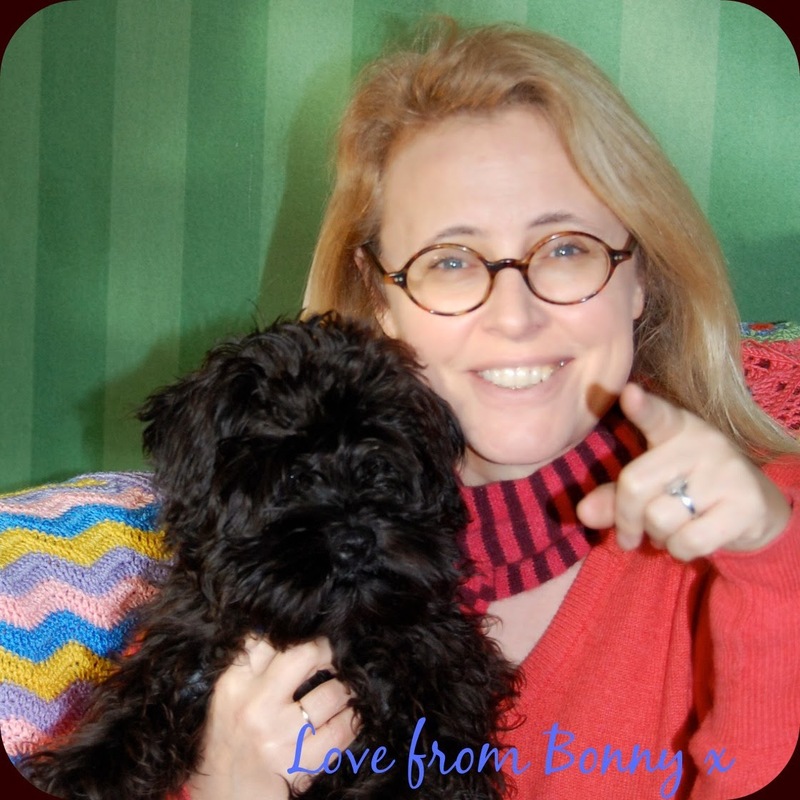 It's pretty quick to knit up too, making it perfect for us impatient types who like to see results pronto! 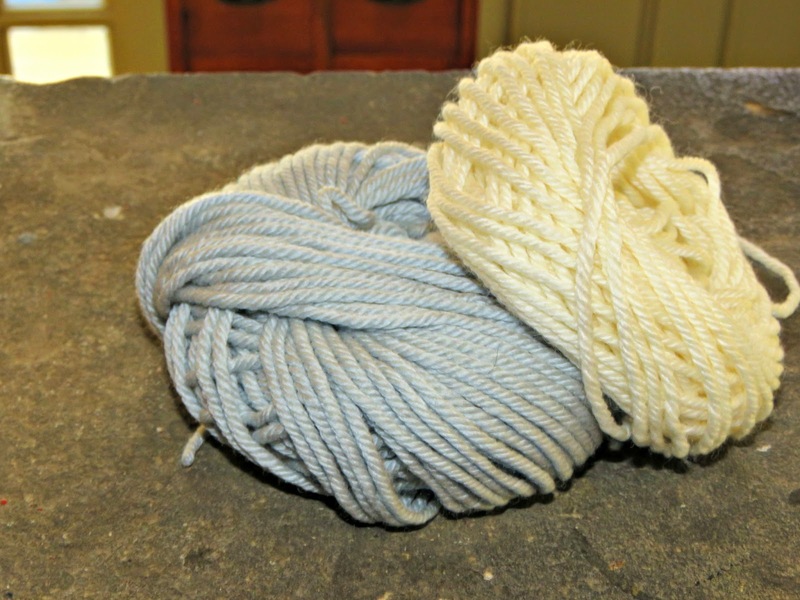 I'm also in love with Debbie Bliss's Cashmerino Aran wool. The wonderful palette of colours and the exquisite softness of the yarn make me really happy. 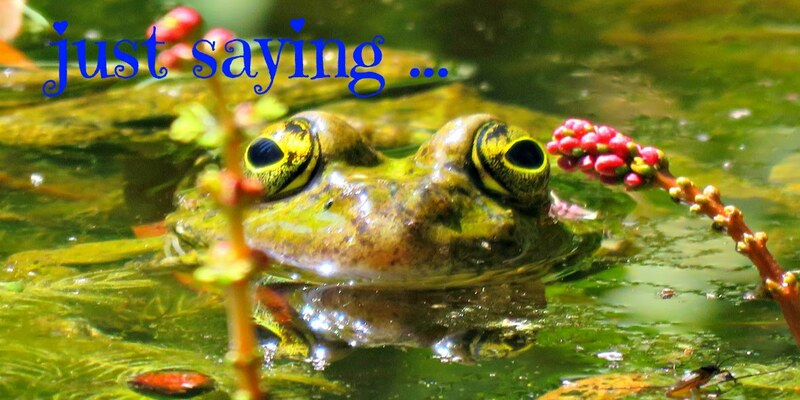 Yes, you've caught me out: I'm a really simple soul at heart! The colours I chose for this project were: cream (colour code 300101); and silver (colour code 300202). Right now I'm thinking that I'd like my whole house painted in that silver colour. It's not really silver, as such, it's more of a pale duck egg blue-meets-grey. And it's spot-on gorgeous in my book. 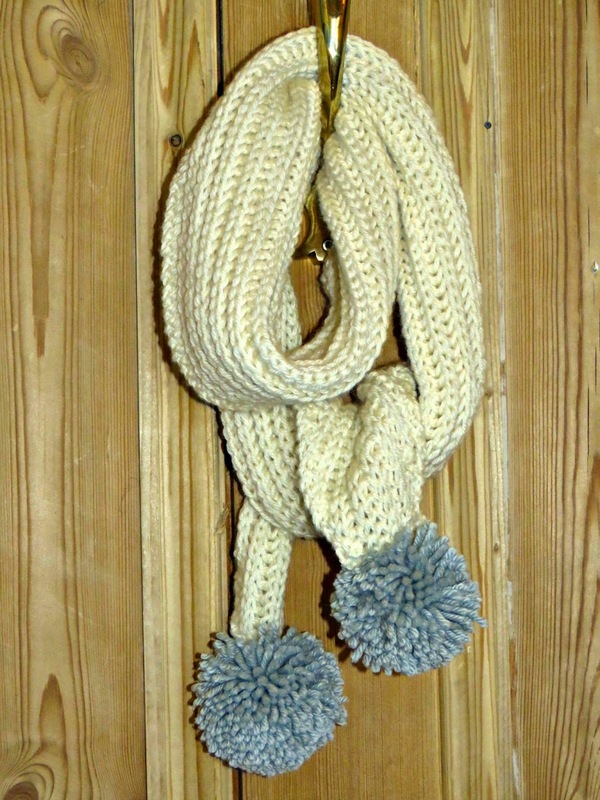 I used 2 balls of the cream (180 m in total) and 1 ball of the blue (90 m) and knit the scarf using 5 mm needles. My scarf wasn't desperately long. 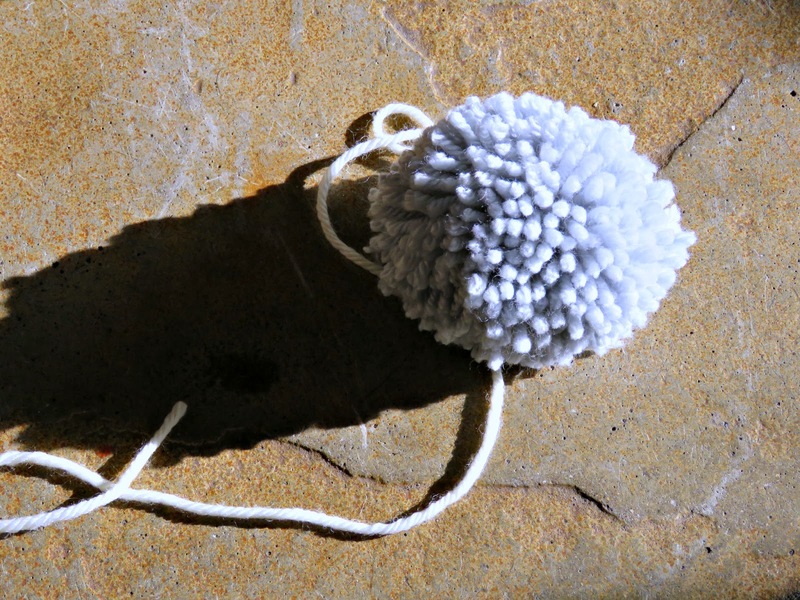 It measured 120 cm from tip to tip (not including the pom pom at either end), so if you think you'd like a longer one it might be worth buying an extra ball of wool in your main colour so that you don't have to cut short your ambitions. Cast on 8 stitches using the long tail cast-on method, which will work better with the stretchiness of the rib. This shapes the first V shape that will end in a pom pom on the finished scarf. Carry on working each row: K2, Rib, K2 until your scarf is as long as you'd like it to be. 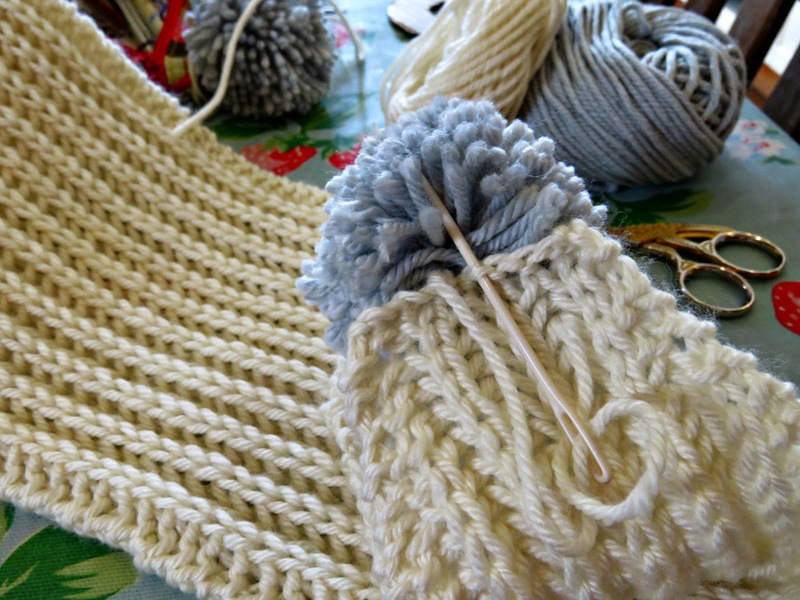 And then start shaping the final V shape at the other end, which will also finish in a pom pom. 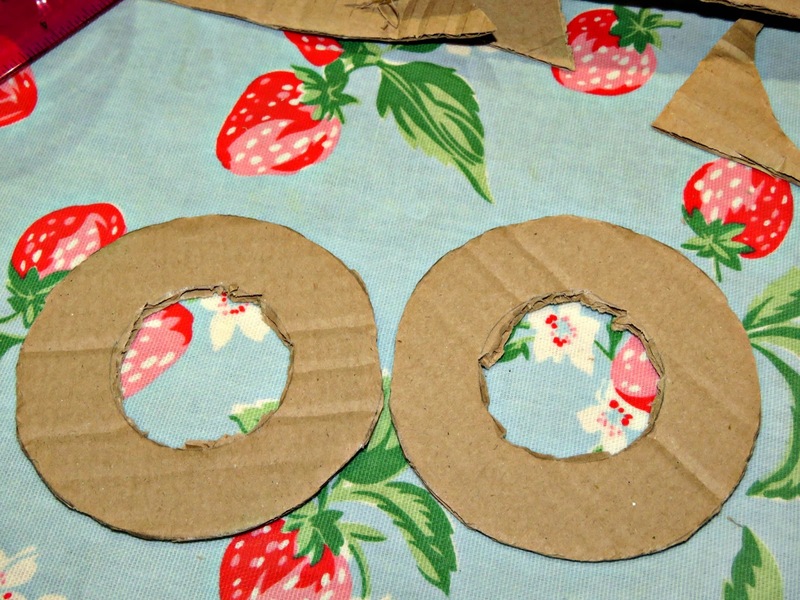 I cut out these donut shapes using a roll of Sellotape for drawing the outer circumference with a small, inverted sherry glass in the centre to draw the cut-out. They measure about 10 cm across the outer diameter with a 5 cm diameter cut-out. 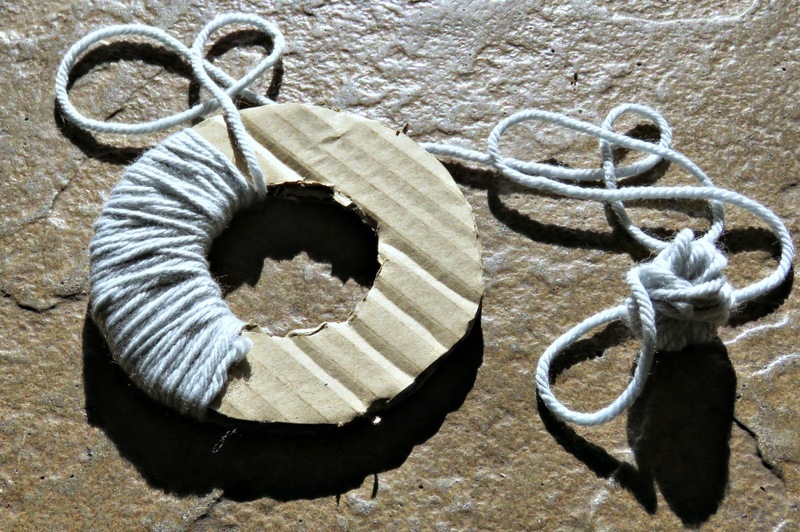 Then I put the two cardboard donuts together and wrapped them with lengths of my lovely contrasting yarn. 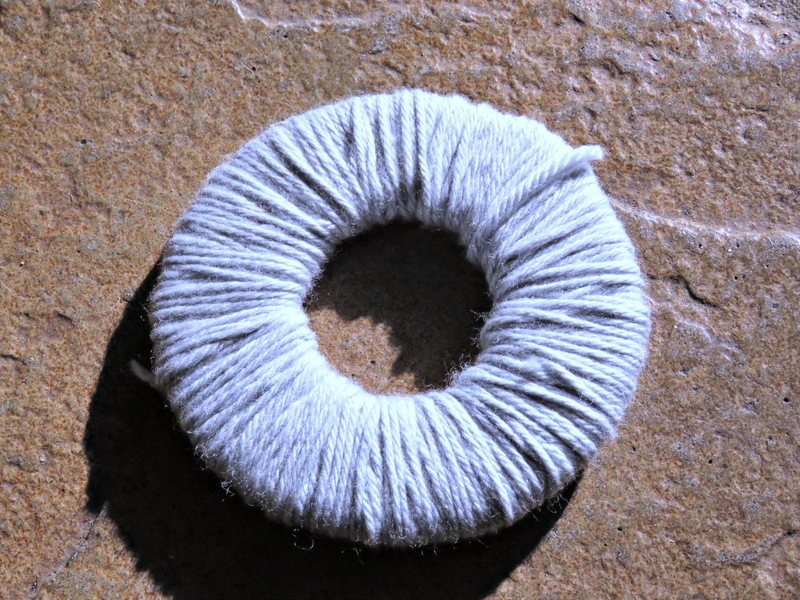 Until it looks like a yarn-wrapped donut. Now for the tricky bit: you have to snip all the way around your donut, pushing the tips of your scissors between two pieces of cardboard. Then tie all the pieces together by slipping a piece of wool (it's a good idea to use your main colour wool here so that it makes it easier to sew onto your scarf when you've finished) between the two cardboard discs and tying it in a very tight double knot before you push each piece of cardboard off the wool. Trim you pom pom and you're in business. 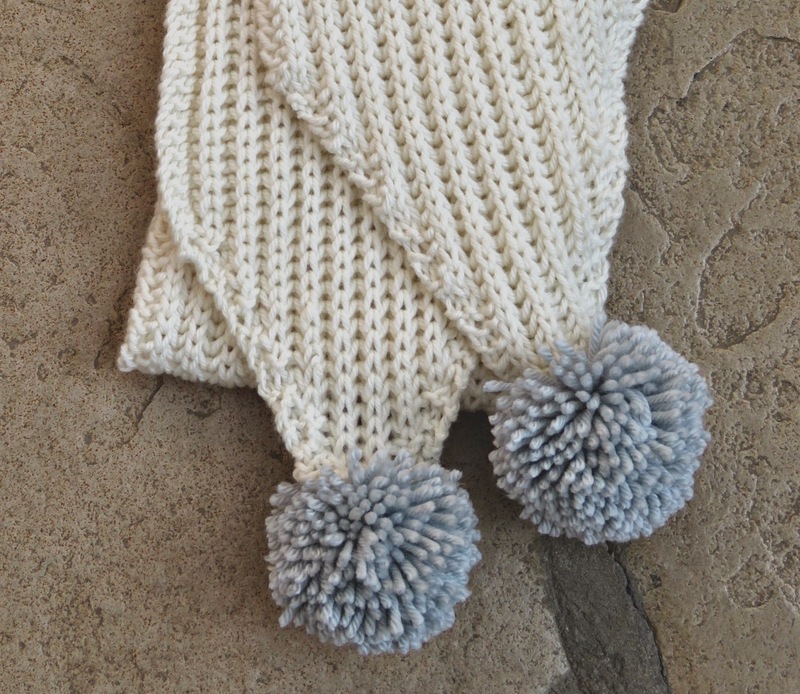 Using the wool that you tied the pom pom together with, fasten one pom pom in the centre of either end, and ta-dah! you're done!! 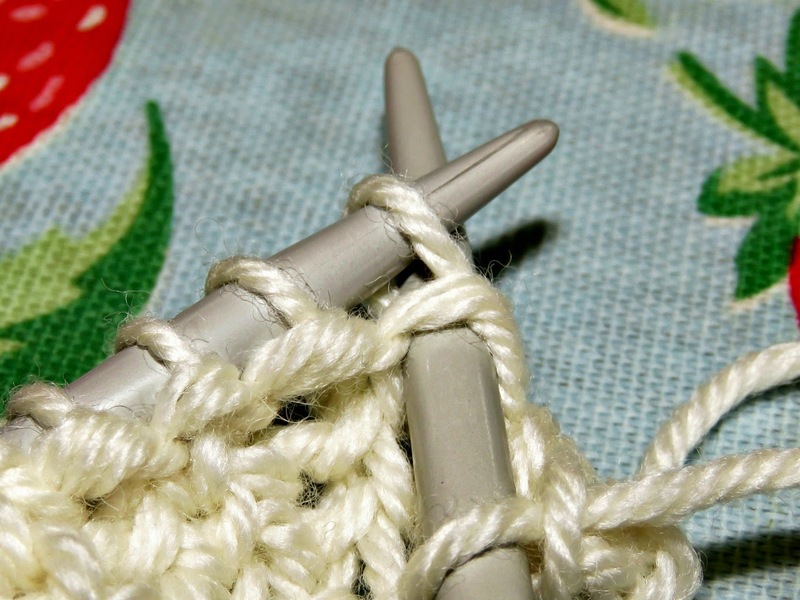 It's a really quick, really easy pattern that produces the loveliest, squidgiest scarf ever. Such pretty colours and I with you on wanting a duck egg blue room !